The media starts hysterical panics the way that Burger King makes burgers, but now it’s bemoaning “hysteria” and “panic” over Ebola. It’s silly for Americans to be worried about a lethal virus that has killed thousands, the self-proclaimed experts insist. 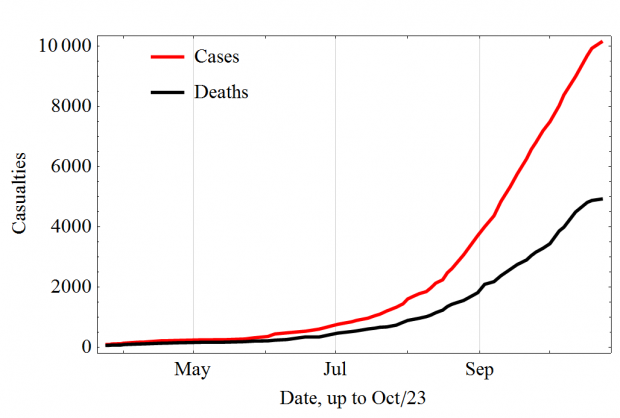 It’s time to get over our irrational Ebolaphobic fear of a deadly epidemic. …The same talking heads shaking their heads over those wacky Americans worried that they’ll die just because the man sitting in the seat next to them is vomiting Ebola into a paper bag or reading the bloodiest parts of the Koran while adjusting a wire that leads to his shoe, are not immune to panic.